A new year, new resolutions, and my biggest aim for Culturetot is to read more with her alone. It's trickier with a second child to find quality time to sit down peacefully together, have a snuggle, and wade through baskets of books like Culturebaby and I had the luxury of doing. Establishing a routine around storytime before bed has really helped. At 14 months Culturetot expects it, understands what I'm saying when I ask her to choose a story, and has begun to say 'there' and point at her books when a certain title she requires is out of reach. I've noticed that this has a knock-on effect on her general awareness of reading material and we've begun to retreat to her cosy little room, sit on her rug and steal a story moment or two in the quieter parts of our days together. I no longer set myself up to fail by resolving to change the world fifteen tasks at a time every January. This year I only had a couple of resolutions, and one was to ensure that we read at least five books a day with each of the girls. As Adrienne Rich noted so sagely “You must write, and read, as if your life depended on it”. Culturebaby at three is just embarking on her reading journey; stringing together letter sounds, recognising the odd word, retiring to her bed to peruse a pile of Ladybird fairytales. I'm so excited for her. Daily she is discovering new worlds for the first time. She's already besotted with the technicolour wonder of Oz and entranced by the magic of Potter's imagination, but somewhere just out of sight wait Narnia, Middle Earth, Wonderland, Brisingamen; Aslan, Gandalf, five friends in search of mystery, friendly giants, a box of delights... For me, their literary diet is just as crucial as their physical one, with words like vitamins stimulating the brain and bringing with their consumption a fullness of life. For Culturetot this is all just beginning. As she lifts flaps in hot pursuit of Spot, presses buttons to hear lions roar and paws at pages embedded with varied textures, the path ahead seems long but laden with treasures. I've recently been thoroughly inspired by the stunning writing of the late Kate Gross. Her blog and book Late Fragments, which chart her courageous and dignified battle with terminal cancer, are far from gloomy. Rather they speak into the heart of things: dwelling on what is ultimately important and the beauty of coming full circle to that which first inspired us as children. When all began to fall away; her glittering career, her health and her dreams of the future, Kate writes that she returned to the root of all meaning for her in her final months - her family, her friends, her children and her books. Her love of words, returning to the landscapes of her inner self and regaining her 'enduring melody' through her first love - her ten year old's clarity that literature made her tick - brought her solace and peace. And she has left her sons a treasure map to what truly defined her - her book, and also a bookcase, banded in age brackets, of the works that have been important to her throughout her life. This 'library for life', which she was encouraged by her university Dons to build sits true with me. I'm always more content and more alive when I'm surrounded with my shelves of books. For me they reach across wall-space like a painting depicting my history; a catalogue of my innermost desires and inspiration and where I can return to unlock a host of memories within each binding. Even a glance at their spines has the capacity to ground me and remind me of who I am, and importantly where I ultimately want to be. A Kindle simply won't do. As Kate notes: "Reading is an experience by which we connect ourselves to what we are, to this magnificent, awful life, in which the same grooves are being scored over and over again in different tongues. It is about how you experience humanity." It is one of the most important doors I will ever unlock for my little ladies. 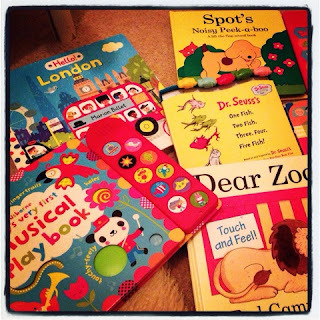 I've been thinking about my tips for instilling a love of books in our little ones right from the start, and without a doubt, for both girls, but Culturetot in particular, the means by which their stories are offered and displayed is extremely significant. 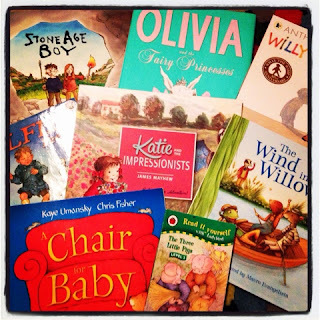 For Culturebaby we had a couple of bigger bookshelves, which, if left to their own devices, were either unceremoniously emptied or ignored; and then a scattering of baskets containing a smaller selection of books throughout the house. These generally get better use as they are accessible and good for browsing. For a while, however, I'd been drooling over the ingenius kids' bookcases created by Tidy Books owned by a number of my friends. The concept is simple but brilliant. Toddlers cannot read; they struggle with large bookshelves with books stacked where only the spine can be seen. Aesthetics matter. How the reading material is offered affects young children's choice, suggestion can help their selection, and they most certainly judge a book by its cover. Tidy Book cases are shallow and unlike normal book shelves display a selection of up to 90 books with their front covers facing outwards. A few months ago we were sent one to review for the nursery and I couldn't praise its concept and design more highly. Since Culturetot and I started a quiet reading routine, cuddled on a rug in front of her Tidy Books case - which is a beautiful and central fixture in her bedroom - I have seen her interest in books truly begin. Now when I ask her where her stories are, she points and says 'there'. She toddles over, and selects one after another, browsing with her eyes and chubby little toddler paws. Inevitably such interest and means of display ensures I no longer leave board books festering forgotten in the bottom of a basket. This bookcase requires that I keep an appropriate selection in steady circulation and I can respond better to my baby's interest as she displays clear preferences for certain types of book, or returns to the same cover again and again. Through observation of Culturetot's preferences as she's been browsing her favourite lit, I'd also recommend that parents have available on their bookshelves for this age a selection of the following: touchy-feely books with textures; books with flaps to open; noisy titles with a range of buttons; books containing photographs of other children and images of animals; high contrasts and bold art; titles containing repetition, rhyming or musical text; books with elements to manipulate (such as parts to slide and move); word books containing photographs of items a baby needs to learn; and tiny books for little hands to handle with ease. Combined with an attractive and accessible means of display there is little more my little Culturetot needs in her nursery. Her bookcase has been the best gift we've given her to date. Disclaimer: Our TidyBooks bookcase was sent to us by this fab eco friendly and responsible business, to test in advance of an honest review. We love it and as always all views are very much my own. If you fancy following some of our 5 a day selections, like our page on Facebook, where we post more regular updates. Lovely post. Books have always been so important to me and I definitely want to pass that onto my girls. I like your resolution; since having my second baby, it's a lot harder to sit quietly and read with my 3 year old. Although I try to make time for all 3 of us to read together as it's a lovely activity that I can do with both children at the same time. We have a book basket in the living room but I have been eyeing up the Tidy bookcases for a while!